Parks begins the monograph proper with “Four Imagined Meetings”, wherein he offers a quartet of humorous, and more importantly, humanising portraits of revered literary figures; the charismatic Joyce, or “Jim”, always in need of a friendly loan; the philanthropic Dickens, too flawed for his own high ideals; the shy but passionate Hardy, simmering beneath a conformist reserve; and finally, the tempestuous D.H. Lawrence, quick to anger and quicker to calm. These vignettes, which are all based on existing biographies of the individual authors, set up–in the most enjoyable and imaginative way–the central premise of the book: that there is a fundamental connection between the life of the author and their work. In the second chapter, Parks begins by explaining Gregory Bateson’s idea of schismogenesis; the influence of the social/group dynamic on individual behaviour patterns. One of the underlying ideas at play here is that values are linked to personal experience. As such, there is ‘a fertile limitation in the works of most storytellers; their stories will tend to be of a certain kind, whatever the setting or genre, to revolve around the same values.’ This further establishes the life/works connection that Parks is building. So far I have presented the idea of the enigmatic episode as an experience that is invariably negative, as if what we wanted was always to find confirmation that the world is as we believe it is. This is not the case, and particularly not the case when we’re reading; some incomprehension can be exciting […] On the page, we can afford to linger over ideas and relationships and reactions that seems quite disorienting to us. In opening up encounters with new or different values systems in a ‘safe’ place, Parks believes that literature can be a means through which to overcome prejudice. He is careful not to return to the discourse of innate literary goodness he rallied against in his forward by stating that encounters with literature aren’t always necessarily positive, but, like real-life encounters, depend on the reader’s relationship to the writing. For better or worse, good writing, in Parks’ view, is never innocuous, and will inevitably reach the reader on a personal level. For this reason, Parks rallies against literary critics and academics who write about literature with detachment, exclaiming: ‘A critic who excludes from his work any reflection of how the texts he considers affect him, personally, of how he stands in relation to them personally, is, as I see it, living in denial of the very experience he is looking to for a meal ticket.’ Underneath some of the posturing is the point that, like biographical readings, the personal experience of reading needs to be brought back into literary criticism: a point with which I am cautiously inclined to agree. Parks returns to this idea in Chapter 5 “The Reader’s Address” where he offers an extended argument and a clear example of his ideas through his own personal reading of J.M.Coetzee’s Disgrace. The third chapter proceeds with a fascinating and well-argued explication of Joyce’s works in relation to his biography, utilising the terminology and ideas discussed in the previous chapter. In these few pages, Parks really showcases the value of utilising author biography in criticism, producing not just a simple drawing of correlatives between real and fictional characters and events, but elucidating the underlying structures and values at play in various Joycean works. Parks offers a convincing narrative of Joyce’s growth as a writer, as well as an in-depth analysis of his enduring preoccupations. While the Joyce chapter is perhaps the star attraction of this book, it does not overshadow later chapters, which go on to apply the same methods to considerations of Parks’ own works, and to the works of Thomas Hardy, D.H.Lawrence, and Charles Dickens. The joy of Parks’ method of analysis is in the variety that is inevitably drawn from it. Focussing on biography and personal responses to works allows for critiques that seem much less formulaic than what we have come to think of as “literary criticism”. The personal and biographical elements are interesting to read, and importantly, they offer something in service of a deeper understanding of the literature under consideration. 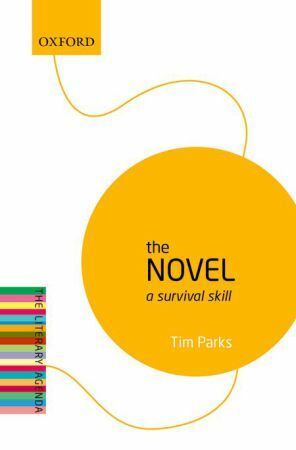 The Novel: A Survival Skill is part polemic against the “authoritative” readings of texts offered by literary critics, and part manifesto for subjective readings through the inclusion of author biography, and the personal experience of readers. Parks’ monograph shakes up our ideas of what the novel is, offering a radical reassessment of its value in society, and an interrogation of the cult of the literary that has grown up around it. At the heart of this book is the idea that the novel belongs to everyone. That it is a form of communication, of connection, and that to detach the novel from the everyday lives of writers and readers is to drain it of its most important function. If author biography has been a little out of vogue in the literary criticism of more recent years, Parks’ monograph raises some brilliant arguments for why it is worth reincorporating into the mainstream.